Are you tired of the small pikes you catch every day? Then it is the right time that you bring the best pike lures with you! Catching a burly pike is not a difficult task. Well, it could be challenging at first, if you are still an amateur. But once you gain mastery of the techniques, then you can deal with these monstrous fish. However, your job could get a lot easier if you have the right baits with you. Pikes are natural munchers; they will eat everything that you feed them. Despite this, there are still some lures that can make them go crazy! If you are lucky, the right lures can produce a feeding frenzy twice or more in a season alone. Many are thinking that the bait selection does not matter when it comes to pike. We bluntly tell that this is wrong. The best pike lures serve as the thin line between a follow-up and a bite. Therefore, you should not waste your time and money in getting second-rate baits. Check out this list of the best lures for pike that you have in your tackle box! Make sure that you bring a variety of these lures in your next pike hunting. This way, you can improve your versatility in fishing. One lure might not work on a particular day. The next day, it can generate a bounty. Therefore, you need to adapt to the preferences of this fish!Meanwhile, here is a short buying guide for pike lures. As we mentioned, a pike would eat anything that you put on the water. However, it doesn't mean that they will bite your bait instantly. These fish still have preferences. As an angler, you have to understand that particular baits can work on a specific kind of fish. For example, spoons, jigs, and poppers are very useful to pike. You could also expect that crankbaits or plugs can work on them. However, these are just artificial lures. If you are into natural lures, then you could always opt for leeches, earthworms, and minnows. Even small pikes can be turned into tasty baits, too! These are the things that you have to understand about lures. Before you purchase an artificial lure, you have to make sure that it can match the preference of the fish. Moreover, if a bait has a close resemblance to the natural food of a fish, then its probability to get a bite is high, too. Most of the artificial lures on the market today are trying to recreate the natural characteristics of live baits. Of course, each of these lures is meant for particular fish species. Once you go to a local fishing store, you will notice that there are six categories for artificial lures. These are the poppers, spoons, jigs, cranks, flies, and spinners. Their design and characteristics differ. This is to make sure that they can attract the right fish species they are intended to bait. Spoons - Pike, Walleye, Bass and other varieties of large fish. (These baits are weighted so that you can fish under the water's surface. Flies - Trout (Same as spinners and poppers)Of course, you should know that these lures are for freshwater use only. Moreover, some suggest that all of these lures can work on a pike. That is only theoretical. If you want to increase your success rate in fishing, then you should choose the appropriate bait for the fish. Any veteran angler would tell you that lures are not the only determinant of a bountiful catch. You also need to consider the overall weight of the rig. Specifically, your reel and rod should be able to cater the bait. Moreover, your fishing equipment should not exert too much tension. In this way, your rod can withstand the force of the struggle and the weight of the fish. Lures that are small in size are ideal for spincasting and fly fishing. Therefore, they work best on bluegills and sunfish. On the contrary, cumbersome and large lures are effective in baitcasting and heavy-action spinning. You should choose these type of lures for pike, bass, and walleye. The weather is also a determinant of the kind of bait that you should choose. There is a general rule that once the day is bright, then you should use lures that are light in color. Furthermore, the lures you should use in this particular weather condition should have a semblance to the natural physical characteristics of prey fish and insects. These factors can improve the attractiveness of your bait. On dark days, baits that are dark in color are the most practical to use. Ideally, you should also use lures that vibrate or make noise. These will cause the fish to approach your bait. You have to consider that the day is dim and the visibility of the water is not that good. One of the best pike lures you can get on the market today is the Yakima Bait Wordens. This spinner lure is effective in attracting pikes and other burly fish. It is available in multiple colors and design to ensure that you won't run out of choices. This spinnerbait has a unique spinning action. Therefore, the motion it creates on the surface of water can easily catch the attention of the underwater predators. Moreover, the Yakima Bait has an in-line weighted design. With this, you can easily glide this bait smoothly on the water. 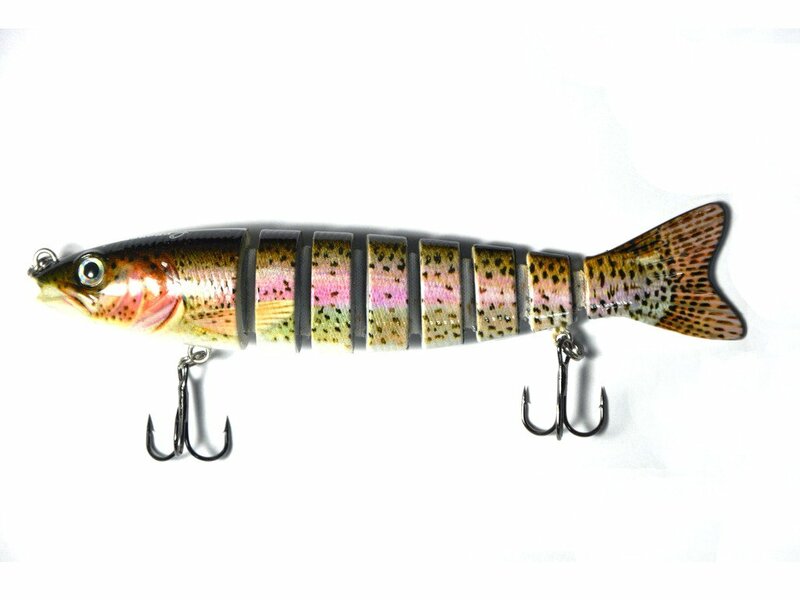 When combined with the spinning action, this lure can cause a feeding frenzy! Furthermore, this bait has a hackle trail that pulsates. This component of the Yakima Bait Wordens amplifies its potential to attract pikes. Meanwhile, its hooks are made of authentic silver, copper, or brass. With this, you can guarantee that this bait can withstand the underwater struggle! If you want a pike lure that can actually swim, then you should pick the Rose Kuli Multi-Jointed Lure. This lure exhibits complete silence while it is swimming. Therefore, the fish won't be able to hear any "unnatural" rattling sounds that other second grade lures produce. The Rose Kuli bait uses fiber to connect all of the segments. With this, you can guarantee that this lure is flexible. Moreover, it is also capable of quick catches and fast retrievals. Meanwhile, you will be amazed at how this bait perfectly mimics the patterns and colors of live lures. With this feature, the pikes will never suspect that the bait is just artificial. Moreover, the Rose Kuli can perform in different weather and water conditions. It has two treble hooks that are made from quality materials. Also, it has a hinge that is highly flexible and durable. The Supertrip 8-Segment Swimbait Lures can unleash the predatory instinct of pikes! This jointed fishing bait has a special design and appearance. It has an aesthetics that replicate the looks of real fish. The brilliant colors and patterns of this bait are so realistic that at first glance, you will think that this is a real fish! However, the performance of the Supertrip Swimbait Lure does not rely on its appearance. In fact, this bait is very versatile. You can use it in any water column, speed, and weather conditions. The treble hooks are highly durable. They can tackle even the burliest of pikes. Meanwhile, the swimming action of this bait is realistic, too. But unlike the Rose Kuli, this crankbait produce vivid sounds that can attract fish! Pikes like worms! They like it very much that any worm variety will get their attention. When it comes to artificial worm lures, you will need to take a look at Finesse Worm Bait. This worm lure is one of the most versatile out there. You can use it on various fishing methods. Moreover, these baits are impregnated by salt. Therefore, they can produce the taste that will make the fish stick to your hooks! Despite its appearance, the Finesse Worm Bait is somehow durable. They can withstand the strong bites of pikes and other saltwater predators. You can even dip them in the water for an extended period without losing their quality. Their appearance may not be as realistic. However, these baits produce scents that make them irresistible to fish! Among the favorite meals of pikes are minnows. Therefore, you should get the Rapala Jointed Shad Rap Fishing Lures. These pike lures can quickly suspend in the water. They are also capable of fast retrieval. These lures use quick diving lip design. Because of this construction, the baits can easily be maneuvered in the water. When there is a bite, you need not struggle to hook them up! 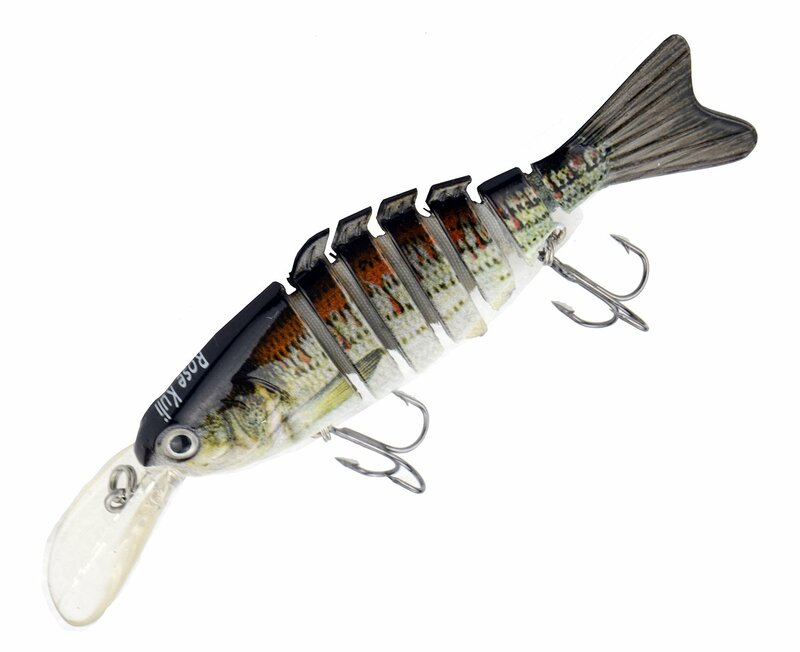 Moreover, the Rapala Jointed Shad Rap Fishing Lures produce "distressed minnow" signals. The sound level is loud enough for pikes to detect. Once they hear the sound, these fish will immediately flock to your bait! Meanwhile, these baits are also known for their lightweight and durable construction. They can withstand the bites from a burly pike. With these features, an angler can use this bait multiple times! These are the best pike lures that you can get on the market. Having one or two of these baits on your tackle box can guarantee a pleasurable fishing experience. They are used by many anglers around the world because of their effectiveness in producing bountiful catches. 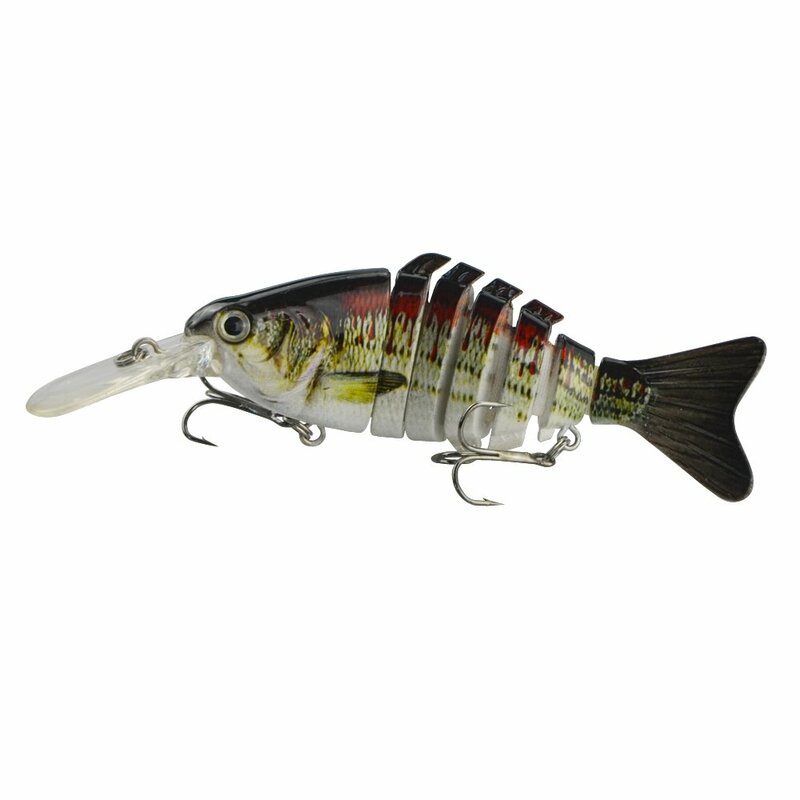 Among these, Yakima Bait Wordens Original Rooster Tail is the best pike lures. It has great qualities that can activate the predatory instinct of fish. 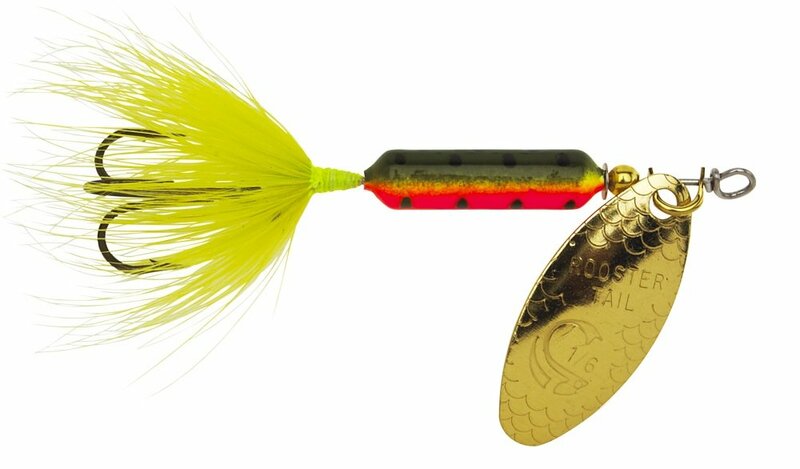 Once the pikes see this lure floating in the water, they will immediately dive into it. We have tested it on various occasions, and we can testify that this bait actually works! Do you have any comments, questions, and suggestions? Ask us! We love to hear from you!